At Grafx, we have been repairing Apple products for over 27 years. We are an Apple Authorised Service Provider with a wealth of experience in Apple service. Our skilled, efficient and friendly team will have your repair diagnosed and returned in the fastest possible time. For iPad and iPod queries please call us on 01242 787878. How much will it cost me to repair my Mac? If your device is covered by Apple One-Year Limited Warranty or AppleCare Protection Plan, then there is no charge unless deemed outside of Apple warranty terms. It doesn’t matter where you purchased your device we have got you covered. Out of Warranty? For just £57 let our Apple Authorised engineers diagnose the problem. We will give you a detailed quote for the repair including any parts and labour. We will always advise on any further costs before commencing with repair. Please note: parts are not carried in stock and are ordered on a per case basis. Once diagnosed, we aim to complete the repair within 3-5 working days. Sometimes even this can be reduced by purchasing our Fast Track service for £42. This comes free for any Apple computers that have been supplied by Grafx. I’m looking to upgrade my Mac can you help? 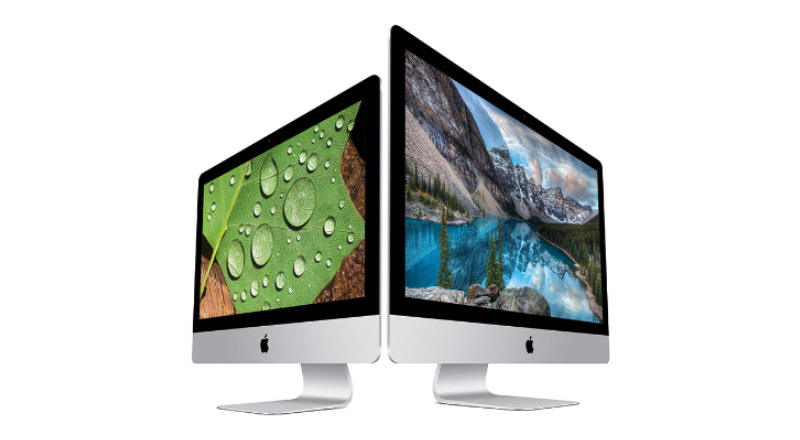 If you are looking for better performance from your Mac we can help. Whether it’s buying new or looking for extra speed, additional storage or the latest operating system, you are in safe hands. Additionally with a Grafx Health Check you can keep your Mac running efficiently and prevent problems before they cause your computer harm. Our Health Check will aim to improve your computer’s performance, provide advice on potential issues and offer guidance in terms of upgrades and updates. It includes system optimising, software and security updates. Please note: repairs need to be booked into the workshop in person. Grafx for your Apple Repairs? Big Thanks to Grafx for sorting our my Macbook Pro with extreme speed and efficiency. I had never been to them before. I was made to feel welcome whilst I was waiting in reception for some initial tests to be performed. Every member of staff passing reception was extremely courteous and all checked I was ok and being served. Dan in particular was superb; timely tests performed, and the slick operation of getting the warranty parts from Apple was smooth and speedy. An email was also sent when my courier had picked up my device to let me know it was on its way back to me. A++ service keep up the good work! Although you are miles away from where I live, I would be happy to return again if I needed to. Occasionally you come across a service from a company that is so good, you want to tell everyone about it. Grafx not only carried out all my repairs quickly having advised me of all the options open to me all along the way but did so in a very friendly professional manner. I could not have asked for any better. A very satisfied customer. I would like to thank Grafx for the kind help they gave me recently. When I was in a panic the staff at Grafx gave me calming help and advice and I must say this has always been so. A member of staff has all always been at the end of the phone for me and it gives me great confidence and relief to know that. You all take the stress and strain out of owning a private mac at home and I thank you for that. I had a problem with the screen on my MacBook Pro and telephoned Grafx in Cheltenham for some help. I spoke with Sally, who couldn’t have been more helpful and professional. When I took my machine to the shop Dan was able to look at it while I waited. Dan explained everything to me and again his approach was very professional, with a friendly and informative manner. If any of my Apple equipment goes wrong again, I won’t hesitate to use this brilliant company, thank you Grafx, this is exactly how a good service company should behave, but sadly very few do. I am very grateful indeed to you at Grafx for sorting out my email on my Apple iPhone and iPad quickly and efficiently after months of frustration and failure by 2 other authorised service offices to make my purchases work properly. Thank you SO much! I received faultless service from Grafx and in particular Dan, when my relatively new computer packed up. As I use it every day and depend on it for all sorts of things, this caused me a big headache at the time. This is the customer service I want and need from a computer repair company and which Grafx were able to provide: instant access on the phone to talk to someone knowledgeable about my computer problem; fast resolution of the problem; information provided in terms I can understand; reasonably priced service. It is reassuring to know that Grafx is there to help. Based on my previous experience with this company, I would be happy to return for further assistance should the need arise. They are responsive on the phone, treat their customers well, always helpful and I'm glad I found them.